Want to know what the EFLI experience is like? No one can tell you better than EFLI's participants. See what they're saying about their experience and learn more about the programs they've participated in. "EFLI is my home. The community makes me feel like I am strong enough to conquer the world. I don't have a sister, but I feel like all the girls have become closer than friends and into sisters. I met my best friends here." Sonali entered Activating Leadership in August 2015 after her freshman year of high school. Sonali had been adopted from India at age five after having lost both her parents. She wished that things could be different and had a hard time expressing vulnerability. Through EFLI, Sonali was able to find a safe space to begin to share her story with others. Sonali started to open up and create close bonds with others in her session. Since that summer, Sonali has continued her journey, participating in Strengthening Leadership in summer 2015, interning with the EFLI team during school breaks and serving as the YAB Co-Chair for the 2015-2016 board. In August 2015, Jonah became one of the first participants of the Leading From Within (LFW) program for young men. He was interested in entrepreneuership and exploring the practices that EILEEN FISHER Inc. used to become a successful company. Through LFW, Jonah challenged himself and found new ways of thinking about problems he faced. In the fall of 2015, Jonah became a member of the Youth Ambassador Board. Inspired by what he explored through the Leading From Within program, Jonah has also organized an assembly at his high school around ethical and sustainable business, which EFLI team members led. Michelle entered Activating Leadership in July 2013 feeling curious and open minded. Though her Ugly Comics workshop, she was able to express her feelings through writing and drawings and explore her creativity. Over her time in Activating Leadership, Michelle "found a new sense of identity and individuality." She says EFLI was "a catalyst to finding my passions and becoming more involved in my community - both in learning and in contributing by raising awareness of social issues." After Activating Leadership, Michelle returned to EFLI in returning year programs and as a LiFe Fellow. Now a sophomore at Mount Holyoke College in South Hadley, MA, Michelle dreams of helping to end environmental and economic racism. Aliyah, who participated in Activating Leadership in 2011 and served as a LIFE Fellow in 2012, was the first participant of EFLI’s GAP program. 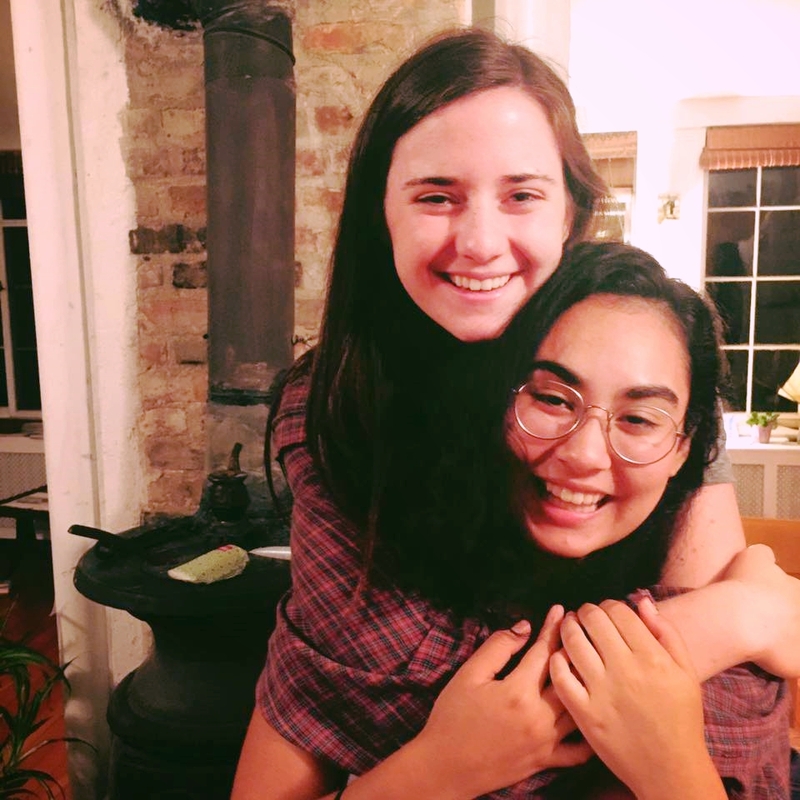 Through the GAP program, Aliyah spent nine months apprenticing with Theatre of the Oppressed NYC (TONYC). Aliyah attended a Theatre of the Oppressed global forum in India, helped facilitate TONYC events including SAVE THE DRAMA! A Festival of Forum and Legislative Theatre Addressing Issues Faced by LGBTQ Homeless Youth in NYC, and became a Theatre of the Oppressed Joker-In-Training. Aliyah returned to EFLI in the summer of 2013 to facilitate Theatre of the Oppressed curriculum for Activating Leadership and guide the summer 2013 Fellows. She is now studying at The New School in NYC where she is completing the Arts in Context program.